Updated on Nov. 29, 2012. 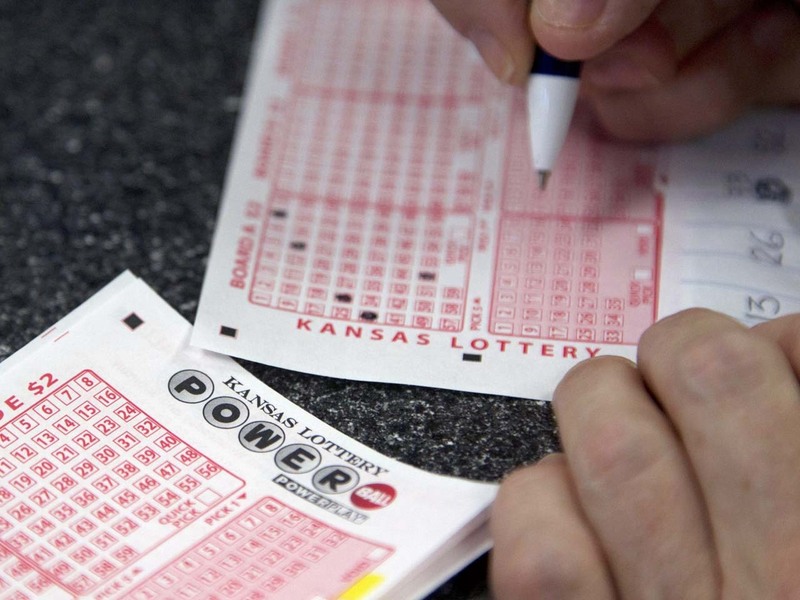 First, the grim truth: The odds of winning the Powerball jackpot are roughly 1 in 175 million. To put that into perspective, the chances of getting hit by lightning in your lifetime is 1 in 5,000, according to Tim Norfolk, a University of Akron mathematics professor who teaches a course on gambling. Of course, the jackpot has already defied the odds by rolling over 16 consecutive times without anyone hitting the big prize. And even with a reduced up-front, lump-sum cash value of $384 million, even the most jaded are tempted to purchase a $2 ticket. The previous biggest jackpot was $365 million in 2006, which was won by eight employees in a Nebraska meatpacking plant. After all, if somebody has to win, why not you? Earlier this year, three lucky winners from three different states shared a $656 million "mega millions" jackpot. That prize dwarfed the previous U.S. record of $390 million and now stands as the world's largest ever lottery payout. 1) Read the rules on the ticket and on the lottery's website. Sign your name on the back of the ticket, unless the rules forbid it. Then make a copy of it and put it in a safe deposit box. Don't feel compelled to tell the world just yet. Try to refrain from telling anyone beyond your immediate family. You can take your time before contacting the lottery authorities, but be aware that ticket expiration periods vary from state to state, from 90 days to one year. The back of your ticket will likely detail the expiration period for your state. 2) Assemble your team (and not an entourage, thank you very much!) You need to interview estate attorneys, accountants and financial advisors. My jackpot-winning clients did something clever when they approached potential professionals: They went through the interview process by discussing their situation, but didn't disclose how much they had won until late in the meeting. That way they could tell whether an adviser treated all his or her clients with respect or just the rich ones. An important caveat: Don't hire only one money manager. You can assemble anywhere from three to six with different areas of expertise. 3) Determine whether you will accept the payout as a lump sum or in installments. At this point, the lump sum for the $500 million prize is $327 million before federal taxes are applied and $245.2 million after-tax. Conversely, you could choose to receive annual payments over 29 years, which would amount to $16.6 million a year pre-tax and $12.5 million after taxes. This does not include state or city taxes, which would further reduce your take. You have 60 days, after you claim your ticket, to make the decision. You mostly hear about winners taking the lump sum, because they want to control the entire amount of money. This year, there could be a tax edge in taking the lump sum, since odds are good that taxes will rise next year. The big problem with a lump sum is that winners often end up blowing the entire amount doing dumb things. Don McNay, author of the book "Son of a Son of a Gambler: Winners, Losers and What to Do When You Win the Lottery," says nine out of 10 winners go through their money in five years or less. "It's too much, too fast," he says. "Nobody is around them putting the brakes on the situation." The stream of income ensures that you won't blow through your entire jackpot (which is why I'm a big fan of the annuity option). That said, there's a major caveat to going this route -- if you die before collecting the entire amount, the remainder of your winnings may or may not pass to your heirs. This depends on the rules of the individual lottery and the state where you win. 4) Determine the legal structure of your investment holdings. Your attorney will help determine whether you should utilize trusts, limited liability companies or even corporations. Depending on your state of domicile, each may have advantages and disadvantages in terms of taxation, as well as privacy. Speaking of privacy, soon your secret will be out and you may be surprised by who will be sniffing around looking for "help" or offering you "fabulous investment opportunities." I advised my clients to provide for their children and to say "no" to everyone else until a financial plan is in place for your newfound wealth. There will be ample opportunity to show your largess down the road, so it's wise to keep the money under lock and key for at least a year. That said, it's fine to splurge a little. The key is to not go crazy -- initially, keep it under $100,000. That means don't buy a new house or a Ferrari for a while, but do take your family on a fabulous vacation. And when you return, remember that you have a new job: Responsibly managing your money.